NEWS – Although there are a wide variety of bands available for Apple Watch, the LABB from Noomoon seems to be truly unique. This band closes without using a buckle or a loop with a magnetic or Velcro closure. 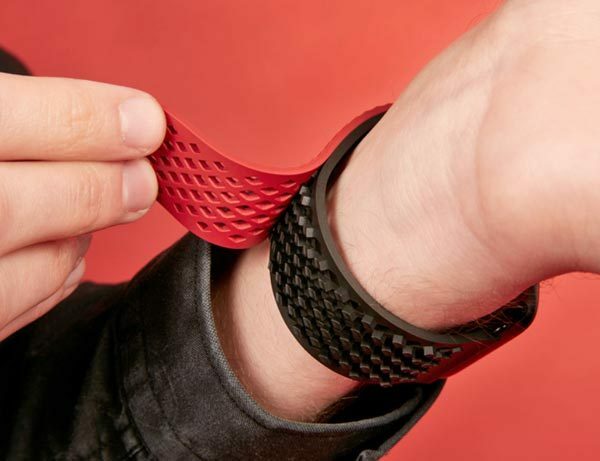 LABB is made from fluoroelastomer, similar to the Apple Sport bands. Noomoon says the material is supple, soft to the touch, odorless, waterproof, and skin-friendly. The LABB’s closure seems to be a series of tags and openings in the fluoroelastomer material that interlocks to hold the band closed. The openings help keep your wrist dry and comfortable, too. LABB is available for both the 38mm and 42mm Watch, with stainless lugs in silver or black. 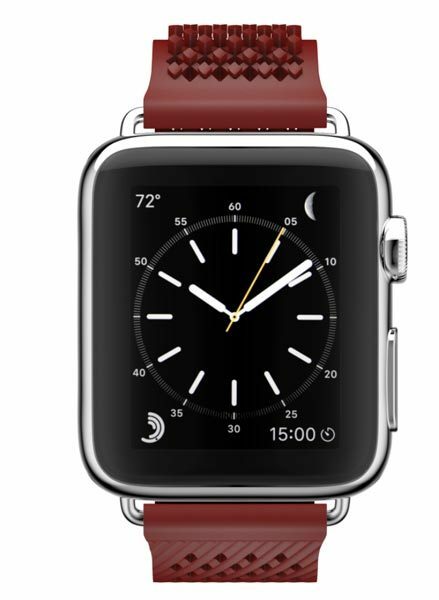 The band itself is available in black, white, red, blue, or green. The 38mm band fits wrists 140-200mm; the 42mm band fits wrists 155-220mm. The LABB band for Apple Watch from Noomoon is $53.00. The LABB is also available for 18, 20 & 22mm spring connected watchbands. Means my Pebble can benefit from the innovation.